The chemical industry is one of the largest industrial sectors in the world and is expected to grow fourfold by 2060. Indeed modern life without chemicals would be inconceivable. Given the potential environmental and human health risks from exposure to chemicals, governments and industry have a major responsibility to ensure that chemicals are produced and used safely. 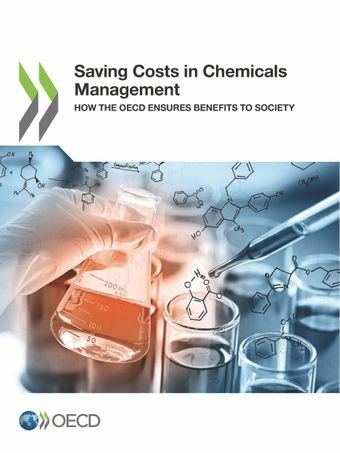 The OECD assists countries in developing and implementing policies and instruments that protect human health and the environment, and in making their systems for managing chemicals as efficient as possible. To eliminate duplication of work and avoid non-tariff barriers to trade, emphasis has been on developing shared frameworks for gathering and assessing information on potential chemical risks. The time-tested OECD Mutual Acceptance of Data (MAD) system provides a major basis for generating savings to governments and industry. This report provides an overview of the benefits and estimates the total savings from OECD work to be more than EUR 309 million per year.